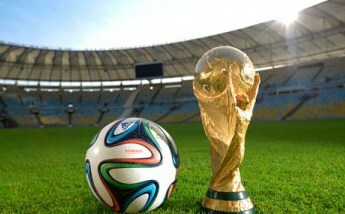 Every four years, football fans all over the world will have a grand event in the summer. World Cup, gathering together world's elite players, always brings fans surprise and excitement with tight gams and amazing goals. Since 1930, FIFA world cup have left a thousand wonderful memories; among those innumberable goals, some astonishing goals which crystallized the dazzling skills and unremitting efforts of the FIFA World Cup players left indelible memories in the minds of all the fans. And those talented football stars made them legends with their great skills, inspiration and creativity embedded in those spectacular goals. As Russia opener brought a 5-0 win over Saudi Arabia with an awesome free kick goal and two goals from Cheryshev. It is high time for us to review the world cup best goals. Let's look back at the 5 greatest world cup goals and moments in its history, wish them to shine more brightly as time goes on. If you are a big football fan, I bet you definitely want to keep those world cup best goals as it's more secure to keep those precious moments in you computer than on the internet. To download the FIFA greatest world cup goals, as well as 2018 Russia World Cup videos, highlights from YouTube, ESPN, CBS 1000+ sports video sites with original quality, MacX Video Converter Pro is high recommended for its excellent capability to download World Cup highlight videos. Cristiano Ronaldo's hat-trick is incredible in 2018 FIFA World Cup. It only took four minutes for the football star to open the score - the fastest goal from kick off in the tournament so far. The final strike from a free-kick was also mind blowing.Learn Cristiano Ronaldo's skills and tricks. It's not the most beautiful World Cup goal but the most important and exciting goal for Mexico who got a surprise win over world champs Germany. There was an artificial earthquake in Mexico due to the celebration of the fantastic World Cup goal. The top goal from the opening match of 2018 WC was Substitute Denis Cheryshev's second strike with the outside of his foot. Cheryshev made the history for Russia and became the first sub to score in the opener. When talking about the best world cup goals, 1986 world cup is not to be missed. Many players want to shot to fame in the world cup, but nobody who can define their career as dramatically as Diego Maradona who turned 1986 FIFA World Cup Mexico to his personal show and presented us the best goal of world cup 1986. 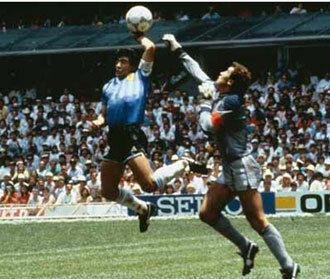 If his Hand of God goal is a malicious joke against his opponent, his Goal of the Century in the second half bitterly humiliated England, the originator of modern football. He dribble past five England players, Beardsley, Reid, Butcher, Fenwick, Butcher, and finally goalkeeper Peter Shilton and shot the ball. When talk about this game, people still marvel at his memorable run. Among the numerous world cup goals, this hard lesson Maradona gave to England in 1986 have never been approached and will never be approached again. It's worthy to mention that Maradona is the idol of Messi, that you can see some of Messi skills and goals are in honor of him. Since dominated in 2002 World Cup in Japan and South Korea, the Samba Boys have stood on the peak of football of the world for five times. And the year 1970 is a year of meaningful milestones for this team in which Brazil Team won the world cup for the third time which entitled them to retain permanently the Jules Rimet Cup. Good teamwork is an highlight in the pitch. 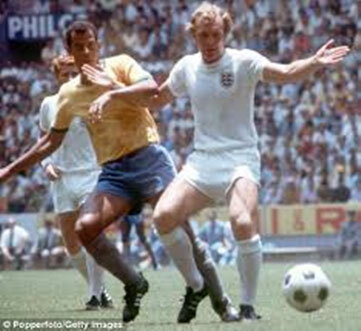 And the thunderous strike from Captain Carlos Alberto is the crystallization of their team spirit. After Gerson's penetrative pass, Jairzinho's fancy footwork, Pele's visionary pass, Carlos Alberto's shoot brought a great end to the game. Through debate about whether this goal is the greatest goal in world cup history still exists, it definitely deserves the second. Also check out the hottest World Cup fans. In the final group match against Belgium, Saudis made an indelible mark on World Cup 1994. In this match, Saeed Al-Owairan raced beyond several players and got past goalkeeper Michel Preud'homme and scored the goal. He ran almost 70 yards. As the opponents remarked, it’s not normal and even impossible for a player to ran that far, but Saeed Al-Owairan did it, due to both his fancy skills and the defensive shortcomings of the Belgium. This miraculous goal earned him an international celebrity and is also one of the best world cup goals for an Asian player. The shoot from Ice Prince in 1998 becomes a classic moment that never returns. In the quarterfinal, Holland played against Argentina. Shortly before the match ended in a draw, Frank de Boer and Dennis Bergkamp defeated Argentina team in five minutes. Bergkamp finished trapping, spiking and shooting at one go without interruption, only to leave the full back and goalkeeper of the opponent in no response. This goal sent Holland to the semis. It’s the last gift Ice Prince gave to the world cup. After four years since Spain won its first World Cup title in 2010 world cup, the Spain-Netherlands matchup was eagerly anticipated in World Cup 2014. Just before halftime, superstar striker Robin van Persie leapt for a header to level the match, 1-1. Robin Van Persie's header goal against Spain is amazing. Running onto a long pass from teammate, Robin Van Persie launched himself off the ground and flew high into the air for a breathtaking goal. This fantastic goal will of course go down in the record of the best wolrd cup goals.